Practically everybody in the car biz today is fixated on crossover SUVs. But did Buick just sneak the first crossunder onto the market? The wagon-like 2018 TourX is one of two new Regals, the other being the 4-door hatchback-sedan Sportback. The TourX’s standard all-wheel drive and raised ride height speak to its crossover aspirations. It kind of looks the part, too, with its wagon body, standard roof rails, and black lower-body and wheel-opening cladding that’s fast on its way to becoming a crossover cliché. 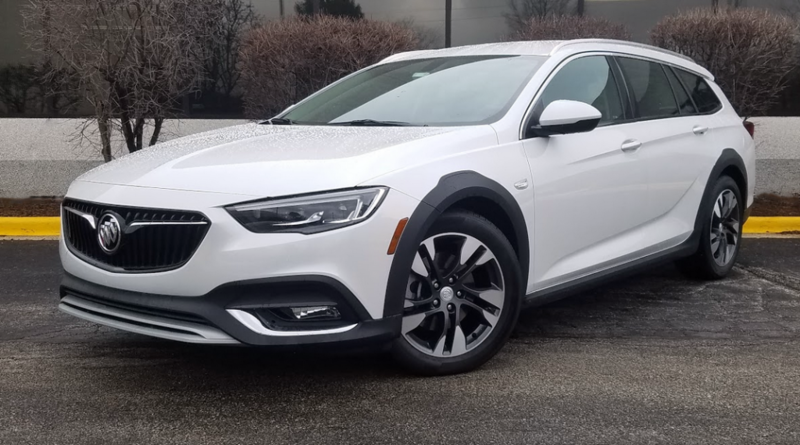 The Buick Regal TourX is essentially a retrimmed, US-market version of the Opel Insignia Country Tourer that is sold in Europe. Similar to vehicles like the Audi A4 allroad, Subaru Outback, Volvo V60 Cross Country, the TourX adds all-wheel drive, a raised ride height, and SUV-flavored styling cues to a passenger-car-based 4-door station wagon. However, what ride-height boost the TourX has (ground clearance is 5.7 inches) is negligible—unless you’re comparing it to some racy little number of a low-slung sport coupe, entry and exit feel like most cars you could name. Plus, there’s nothing about AWD that singles it out as an SUV feature. A fair number of cars offer it. If cargo space is anybody’s measure of a small sport-ute, the TourX foots the bill there. Overall, though, it’s real close to, but not quite, an SUV. It has crossed just under that bar. However, it seems like a pretty nice midsized station wagon, a rare-enough thing itself, and to this tester there is absolutely nothing wrong with that. The redesigned-for-2018 Buick Regals occupy something of a middle ground between the mainstream and luxury midsize-car categories. The TourX’s cabin ambiance compares well with high-end versions of mainstream cars, but it’s not as rich as an Acura, Lexus, or European luxury-brand machine. The rear-seat is comfortable for average-sized adults. 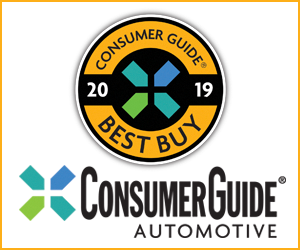 Consumer Guide® tested a TourX with top-level Essence trim, a $35,945 car with delivery. The test car was optioned up to $39,760 with deluxe paint and a pair of option packages that added enhanced audio and navigation, and conveniences and driver aids. The TourX is one of the sleekest-looking wagons around. The large rear liftgate opens high enough to clear most adults’ heads, and provides easy access to the cargo area. The cargo floor includes aluminum rails with adjustable tie-downs. Interior features include heated 8-way power-adjustable front seats, leather upholstery, passive entry, keyless starting, ambient lighting, dual-zone climate control, heated leather-wrapped steering wheel on a tilt and telescoping column, and active noise cancellation. On the outside there are 18-inch alloy wheels, heated mirrors, a hands-free power liftgate, LED headlights, and fog lamps. The basic Buick infotainment system incorporates satellite radio, an 8-inch display screen, Bluetooth audio streaming, Apple CarPlay and Android Auto smartphone connectivity, and a 4G LTE Wi-Fi hotspot. Note that things even some cheaper vehicles manage to incorporate, like rear cross-traffic and blind-zone alerts, require an option package to appear on the TourX. Though the TourX’s rear cargo area isn’t as tall as the typical midsize SUV’s, it’s longer than almost all of them. Cargo capacity is 73.5 cubic feet with the second-row seats folded, which tops most midsize-wagon rivals. The powerteam consists of a 2.0-liter turbocharged 4-cylinder that’s widely used in General Motors vehicles, paired with an 8-speed automatic. The engine makes 250 horsepower and 296 lb-ft. of torque. This Buick wagon delivers decent response from a standstill, and it is capable of high-speed expressway running, at least when very nearly floored. This driver experiences some transmission clunkiness a few times in low-speed situations. The AWD system employs twin clutches for the rear wheels to manage torque distribution. EPA fuel-economy estimates are 21 mpg in the city, 29 on the highway, and 24 combined, so the 23.25 mpg this reviewer got after a drive of 178 miles that was 52 percent city-type driving was expected. Ride and handling were fine in urban commuting, which is quite a bit different from the light off-roading the TourX is supposed to be able to do. Cargo area appears to be somewhat narrow between the wheel houses, but the floor extends far forward for excellent overall capacity. 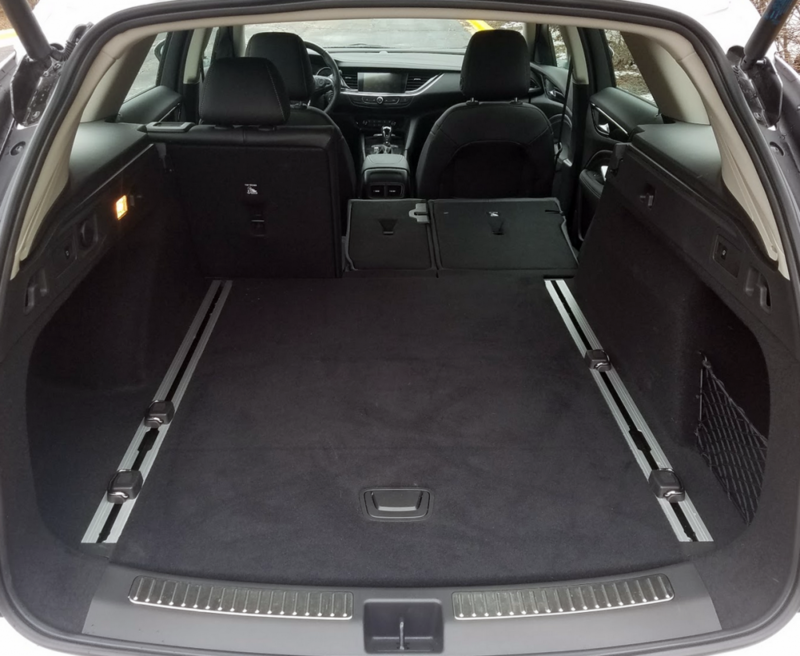 Rear seats fold flat with the cargo floor—and they fold easily thanks to remote releases in the sides of cargo bay—to create a 73.5-square-foot area that bests some of the biggest names in the crossover-wagon space that Buick sees itself inhabiting. Adjustable tie-downs run in parallel longitudinal tracks in the floor, there’s some “unofficial” hidden space under the floor, and a net pouch is on hand in the right sidewall to contain incidentals. Personal-item storage consists of an acceptably large glove box, a small console box (in which some of its space is taken up by the wireless phone charger from the Driver Confidence option package), door pockets, and pouches on the backs of the front seats. Covered cup holders for front-seat passengers are installed in the forward part of console, but they are too close to the climate controls. Rear cup holders reside in the pull-down center armrest. The infotainment display is typical of GM vehicles, with easily programmed and accessed audio. Climate-system operation is via temperature dials and function buttons low in the center of the dash, but it can also be worked through the display screen. 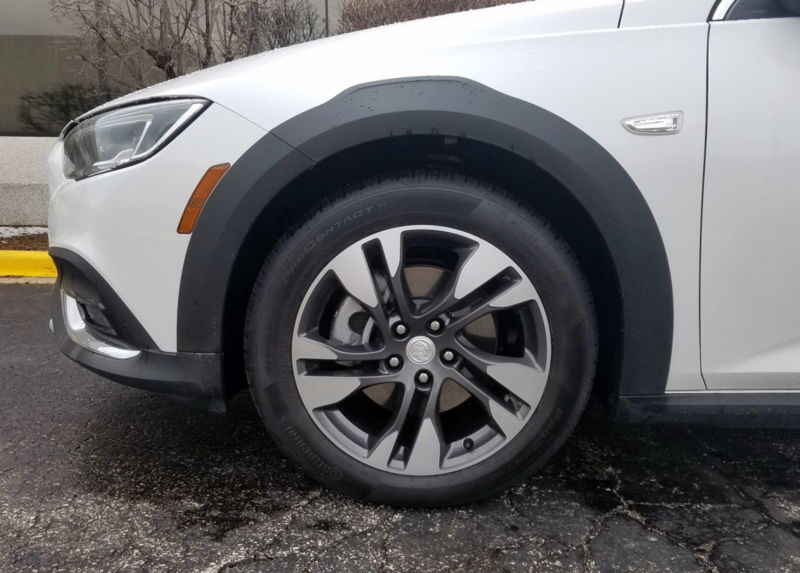 The Regal TourX’s ride height is raised over its Sportback sibling, but only slightly; it’s really intended only for “soft-roading,” or maybe plowing through heavy snow. 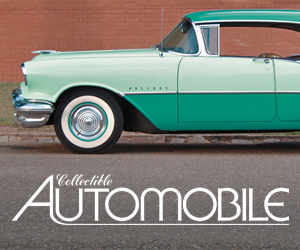 Eighteen-inch aluminum wheels and black body cladding are standard. Seats provide good comfort. There’s ample headroom in both rows. If trying to strike a balance between front and rear legroom, folks up to about 6 feet will be able to sit in tandem. A dead pedal for the driver’s left foot is a nice touch for comfort in long—or just slow—drives. Entry and exit are easy, and driver vision is pretty good to just about any point around the cabin. Soft-touch material on the dash and door tops is thinly padded, but a bigger-than-usual portion of the dash is covered this way. The look and feel of the seat leather isn’t up to the most luxurious standards. 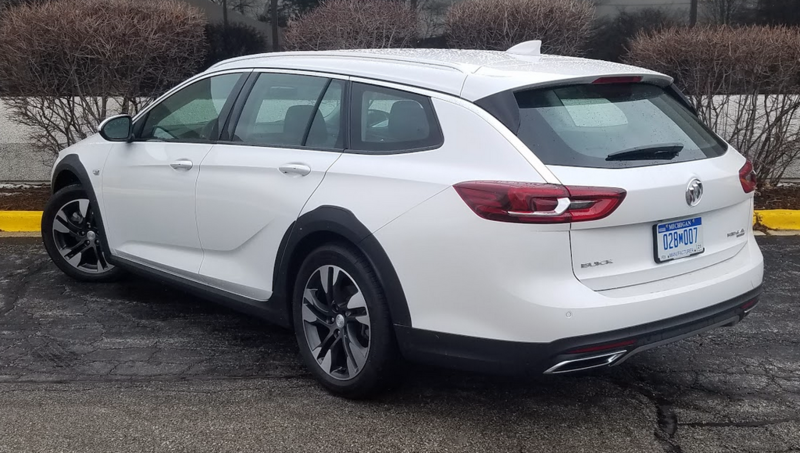 The Buick Regal TourX wants to be a crossover SUV because, hey, doesn’t everybody these days? It certainly is a legitimately useful station wagon if that’s “all” you’re looking for. Buick isn’t the first manufactuer to tread down the off-the-beaten-path path of making an SUV-esque wagon by adding crossover cues to a traditional passenger car, but TourX is a nicely executed example of the genre. Written by: The Daily Drive staff on June 1, 2018.on February 25, 2019.